Sorry, we couldn't find any Schomp Mazda listings that matched your search criteria. I didn't get to go over to this dealership, since the car I was looking at was in the process of being purchased at the same time I contacted them. The communications I did have, though, were speedy, friendly and helpful. Very smooth easy purchase. Everyone was honest and fair. Got a quick response...car I was interested in was sold so then emails from manager at 5am! !wanted to know if still interested in a car they don't have!avoid unless you want to be bothered a d woke up at 5am!!! Rone with Sales hardworking, diligent...seems like a good guy. Matt with Management/Finance also A+. The whole thing, top to bottom, was good. Salute the folks @ Schomp. Hopefully, we can do some business in the future. I saw the car several times online over the span of two or three weeks. I contacted Schomp Mazda and made an appointment to see the car with Bego Karalik. He was great to deal with and very knowledgeable about the car. We took it for a test drive and decided to buy it. He had it washed so we could really look the paint over before we signed the papers. The price was fantastic for a low mileage certified car. There were no dealer handling charges either. This dealer does not negotiate on price and that was okay with me because I thought the price was low. 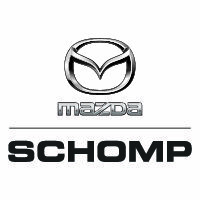 I think Schomp Mazda is a great place to buy a car because they are honest and straightforward. Purchased this car a week back, happy and satisfied. Paper work didn't take much time and once my loan documents were cleared I was able to walk out with the car in few hours. Kyle from Shortline Mazda was supportive through the documentation process. Kudos! Our experience with Jake and everyone at Shortline Mazda was great! They were friendly, not pushy! No haggling, no dealer fee added! The price IS the price! Jake made a special video for me since we were out of towners and accommodated my daughter and I in every way! We also got a 30 day warranty on the engine and transmission of the used vehicle we purchased, as part of the deal. Would definitely do business with them again! Did not buy a car here, but staff was helpful and polite. Did not buy a car from this dealer but appreciate the prompt responses to my questions. Had a perfectly lovely experience purchasing my Mazda this morning. Dylan was pleasant and answered all of my questions. Nancy the manager was also very nice and I got a great car at a fair price. I would certainly recommend checking them out if you are looking for either a new or used car. Very quick responce as well as helpfull and willing to earn our business. They were great to work with- straight forward and easy-going. Whole process took less than 4 hrs.